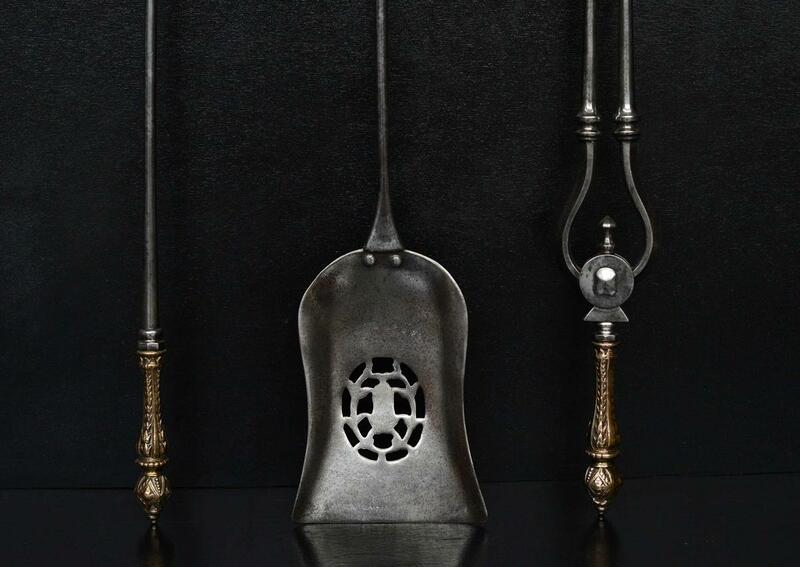 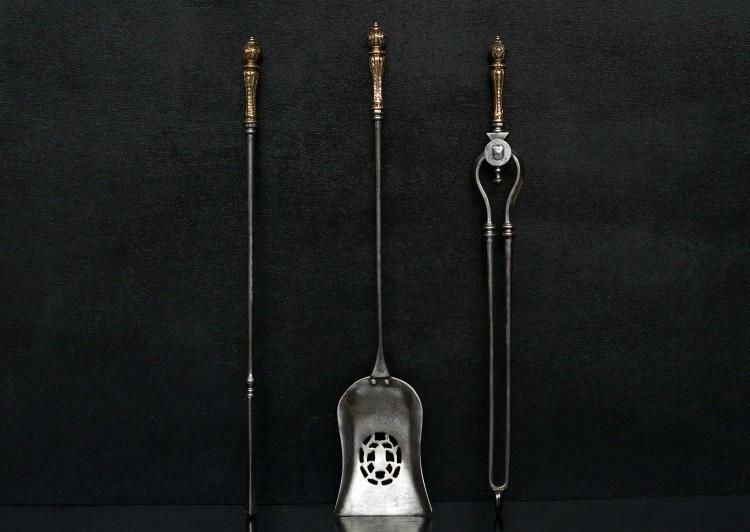 A set of 19th century English firetools. The steel shafts surmounted by decorative cast brass handles adorned with bell flowers. Pierced shovel.